From the writers of 2 Fast 2 Furious and the director of Taken, Overdrive is a high-octane, action-packed joyride. 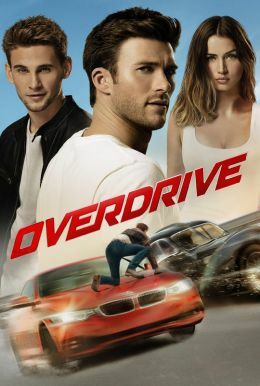 Legendary car thieves Andrew (Scott Eastwood) and Garrett (Freddie Thorp) are caught in the act of stealing from notorious crime boss Jacomo Morier. In order to win back their freedom they're put to the ultimate test – the theft of a priceless car from Morier’s sworn enemy. While putting together a crew to pull off the daring heist they're joined by two beautiful women (Ana de Armas & Gaia Weiss) who are more dangerous than they look. The team has one week to put the plan in motion, steal the car, and make their escape or lose everything, including their lives.